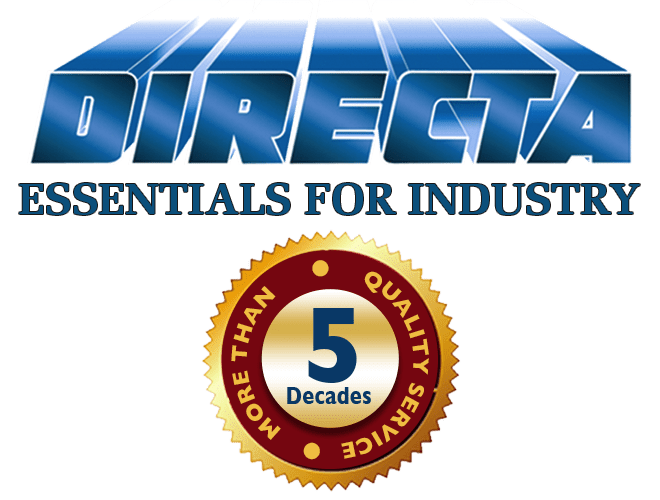 This website is published for the information of business clients and prospective business clients of Directa (UK) Ltd.
Directa (UK) Ltd respects your right to privacy. Any personal details received via our website will ONLY be used lawfully by Directa (UK) Ltd.
Directa (UK) Ltd does not sell or otherwise give away your private information to any third party. The details provided may be used to update you with details of our products, offers and services. All material on this website, including text and graphics, is copyright to Directa (UK) Limited unless otherwise stated. Prices stated on this site are exclusive of VAT (currently 20%) and free delivery within UK mainland is for orders over £10. Payment accepted by credit/debit card. All goods remain property of Directa (UK) Ltd until paid for in full. Prices and manufacturers specifications subject to change without notice. 1. Definitions ‘Seller’ means Directa (UK) Ltd registered in England 1008317. ‘Conditions’ means the terms and conditions of sale set out in this document. 2.3 These Conditions form the whole agreement between the Buyer and Seller and any variation to them shall be inapplicable unless agree din writing by the directors of the Seller. 2.4 Acceptance of delivery of the Goods to the Buyer shall be conclusive evidence of the Buyer’s acceptance of these Conditions. 3.2 The price excludes VAT which shall be due at the rate ruling on the date of the Seller’s invoice. 4.4 Interest may be charged on any overdue invoices from the date when payment is due at the rate of 2% per annum above National Westminster Bank PLC’s base rate from time to time in force. Interest will accrue daily and runs before and after any judgement the Seller obtains. 4.6 The Buyer may not withold payment against the Price including any applicable VAT, because of any amounts due from the Seller or because of any dispute. 4.9 If the Buyer fails to make any payment on the due date, then without prejudice to any of the Seller’s other rights, the Seller may suspend or cancel deliveries of any Goods to the buyer. 5.1 Delivery of the Goods will occur when they have been set aside and labelled with the Buyer’s name at the Seller’s warehouse and the Buyer has been notified that they are ready for collection. 5.8 The Seller shall, if requested, arrange for carriage of the Goods to the Buyer’s address. All costs of carriage and insurance incurred by the Seller will be reimbursed by the Buyer without any set off and shall be due on the date for payment of the price of the Goods. The carrier shall be deemed to be the Buyer’s agent. 7.3 At any time while the Goods still belong to the Seller but are still in the Buyer’s possession, the Seller may require the Buyer to return the Goods to the Seller or make them available for collection. 7.5 The Buyer may use or sell the Goods in the ordinary course of the Buyer’s business unless the Buyer becomes insolvent or the Seller requires the Goods to be returned. 7.7 All trust money as defined in 7.6 and 7.13 shall at material times be identified as the Seller’s money, shall not be mixed with any other money and shall not be paid into any overdrawn bank account. 7.10 The Buyer expressly grants a contractual licence to the Seller to enter such premises as defined in 7.9 for the purpose of repossession and agrees to waive all rights in contract or in tort for damages or any other remedy in relation to the Seller’s entry onto the Buyer’s premises be that forceful or otherwise. 7.11 The Buyer shall not pledge or in any way create a floating fixed charge by way of security for any indebtedness, on any of the Goods to which the Seller still has title. No security may be created over the Goods ranking in priority to the Seller’s title. 8.2 All terms, conditions and warranties relating to the quality or the fitness for purpose of the Goods are excluded unless the Buyer deals as a consumer as defined in the Unfair Contract Terms Act 1977 s.12. 8.3 The Seller will put right any breach of warranty by supplying replacements but will not accept any other liablity in contract, tort or any consequential loss. The Seller does not exclude liability for death or personal injury from the Seller’s negligence. 9.1 The Seller shall not be liable for any delays caused by matters outside its control such as: acts of God, war, riot and civil disturbance, terrorism, fire or explosion, trade disputes, British or foreign government action or regulation, delay by suppliers, accidents, material shortages, labour or manufacturing difficulties or others. 10.1 The Goods may be aerosol products which are pressurised and must be handled with care and not exposed to high or low temperature. Direct sunlight must be avoided and the cans should not be pierced even if empty. The Goods may be flammable and must not be used near flames and sparks. Some Goods may damage plastics or other materials. Some Goods have contents which may cause damage to health. The Buyer must at all times comply with the advice in the Seller’s product safety sheets and must ensure that all people coming into contact with Goods supplied by the Seller also comply with the Safety Sheets. 10.2 Safety Sheets are available for all the Seller’s products on request and the Buyer must ensure that anyone handling the products has full instructions for their safe use and handling. The Buyer agrees to indemnify the Seller against all claims in tort or contract if it does not comply with this condition. 10.3 The Buyer must use, store and handle the Goods safely in accordance with the Seller’s instructions. 10.4 The Buyer must not modify the Goods or any markings upon them without obtaining the Seller’s written permission. Should the Buyer wish to export the Goods, the Seller’s advice must be sought on appropriate labelling for foreign jurisdictions. 12.2 All disputes arising out of the contract shall be subject to the exclusive jurisdiction of the courts of England to which the Buyer submits. 13 RETENTION OF TITLE: Title to the property in all goods supplied in each and every sales contract entered into between us does not pass until all monies outstanding under any sale contract have been received by Directa (UK) Ltd by way of cleared funds.